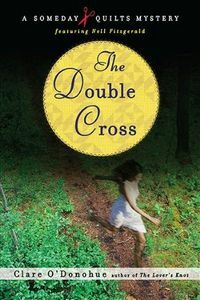 The Double Cross by Clare O'Donohue: Synopsis and Online Purchase Options. Synopsis (from the publisher): Nell Fitzgerald and the Someday Quilts ladies are asked to lead a quilting workshop at a new bed and breakfast in upstate New York. However, the retreat quickly takes an unexpected dark turn. When a body is found in the woods, and one of their own is the chief suspect, the ladies must rely on their craftiest thinking as they embark on their most personal case yet.